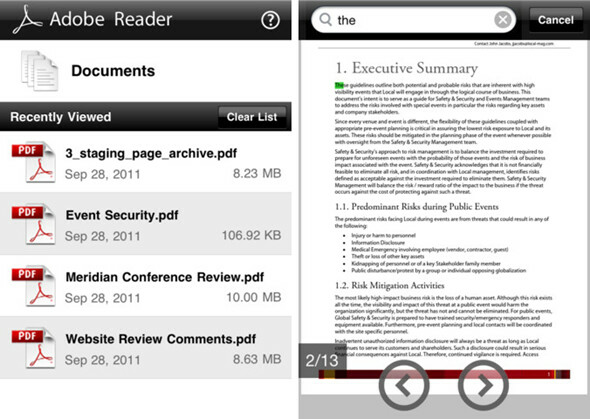 Looking for a PDF reader on iOS? There’s plenty of options in the App Store, but for some reason up until now Adobe didn’t have an official application for reading PDF files. 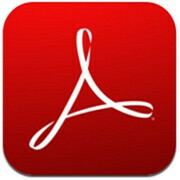 Now, that changes as Adobe Reader app makes its debut on the App Store with the unbeatable price tag of free. The neat thing about Adobe Reader is that allows you to open documents from any app supporting that like mobile Safari or the Mail application, which is pretty convenient. It will also open password-protected documents as well as display annotations and drawing markups. Except for that the interface is stripped down to a bare minimum, allowing you to concentrate on the reading experience, which is the focus of Adobe Reader. In addition, you can also search the documents, copy text to the clipboard and print. Below you’ll find a list of most of the things you can do with the application. there's a lot of generic pdf readers in the app store right? why not mess with the flash instead of the reader?